Only two weeks until Father's Day! Father's Day is only two weeks away. From Lucy's 'Little Dad Kits' are literally flying out of the doors here in Devon. Tell a special Father what they mean to you for ONLY £12! 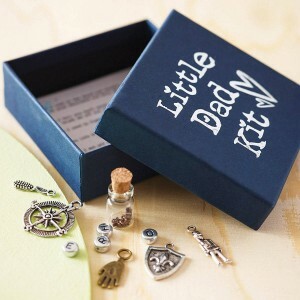 A gorgeous little box of personalised words and objects to celebrate a wonderful father. Father's Day GiftsFather's Day is nearly upon us and we have put together a lovely range of Father's Day gifts ideal for all that special man in your life!